Another long workday, ready for a couple of beers and leftover dinner. 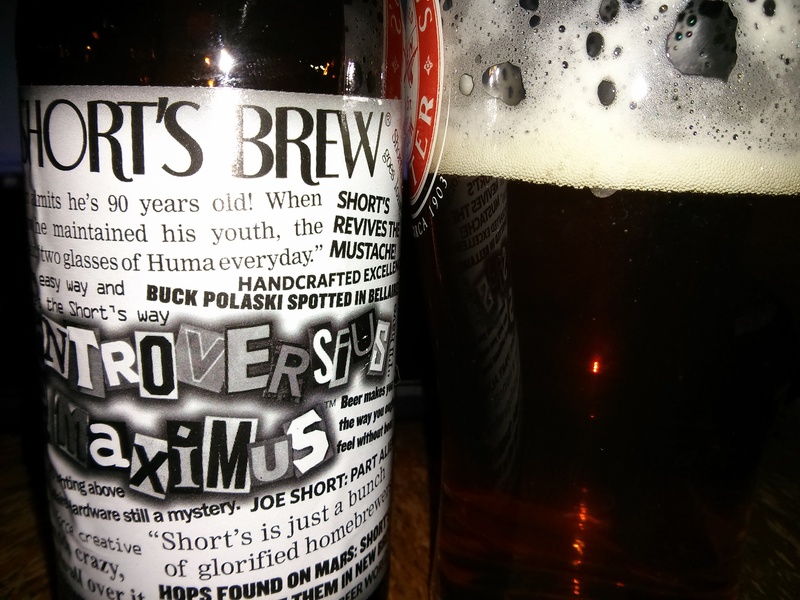 First, a single bottle of Short’s Controversius Maximus. Definitely overly sweet for me, although I’ve heard that this bottle may be way older than it should be for a DIPA. You definitely get the alcohol burn here. I’m a big fan of ControversiALE (formerly Hangin’ Frank) but this one isn’t quite for me. All right, onto the next beer, Founders Red’s “Rye PA.” Formerly a year-round, but apparently really expensive to produce, so they’ve turned it into a seasonal four-pack. Since this is probably my all-time favorite rye beer, I was definitely interested in trying it, especially since at the time of this writing this bottle is all of eleven days old. 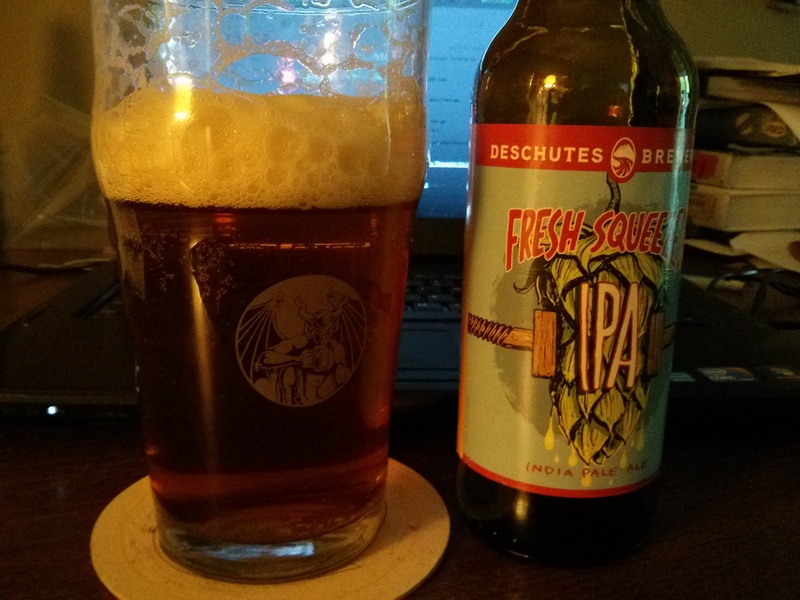 You definitely get more of that earthy funk from the rye than I remember in this beer, but I don’t think I’ve ever had it this fresh. Nice sweetness from that amber malt character. (Added via crystal malt? You can never be sure with these kinds of beers.) 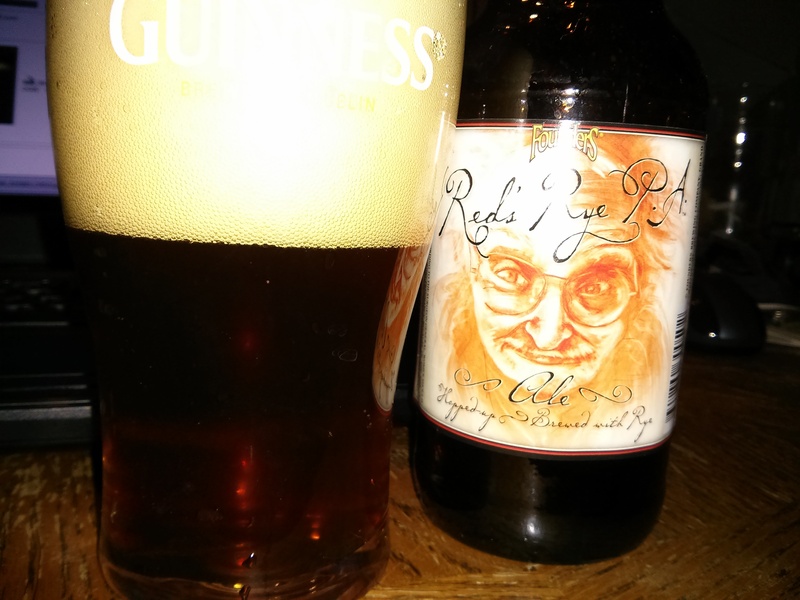 Just as dank as the Sierra Nevada Ruthless Rye, but much more drinkable. 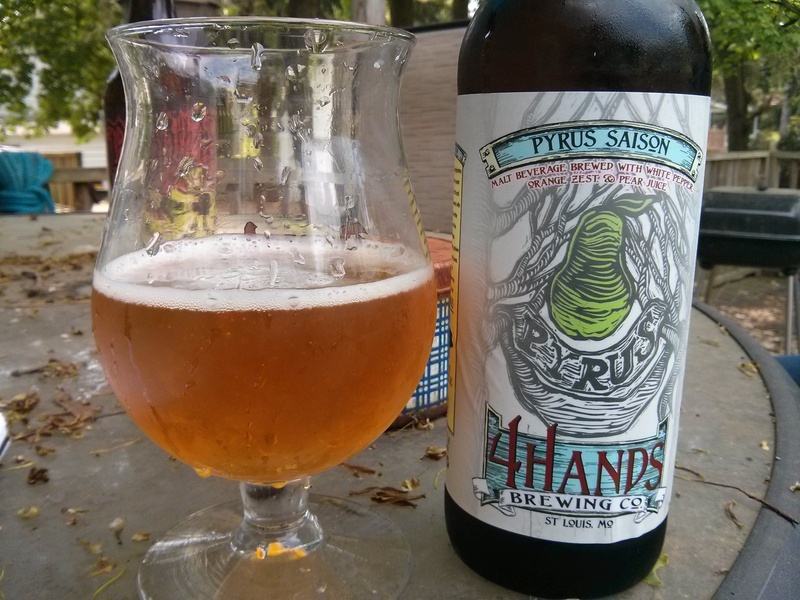 I think if anything they’ve made this beer better by turning it from a year-round to a seasonal. That’s it for the night. Cheers to all.